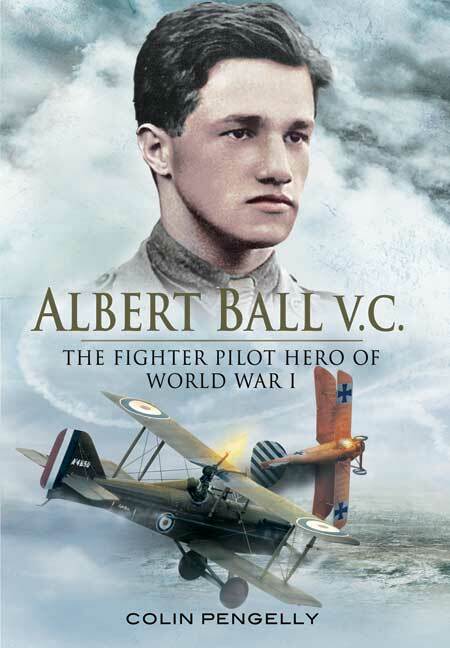 You'll be £19.99 closer to your next £10.00 credit when you purchase Albert Ball VC. What's this? Albert Ball's individuality and his insistence on fighting alone set him apart from other fighter pilots during World War One. His invincible courage and utter determination made him a legend not only in Britain but also amongst his enemies, to whom the sight of his lone Nieuport Scout brought fear. In June 1915 he paid for private tuition and trained as a pilot at Hendon. In October 1915 he obtained Royal Aero Club Certificate and requested transfer to the Royal Flying Corps. The transfer granted, he further trained at Norwich and Upavon, being awarded the pilot's brevet on 22 January 1916. On 16 May 1916 - flying Bristol Scout 5512 - he opened his score, shooting down an Albatros C-type over Beaumont. On 29 May 1916 he shot down two LVG C-types, whilst flying his Nieuport 5173. Captain Albert Ball made his final flight on 7 May 1917 when he flew SE5 A4850 as part of an eleven-strong hunting patrol into action against Jagdstaffel 11, led by Lothar Von Richthofen. It was a very cloudy day. Albert was pursuing Lothar's Albatros Scout who crash-landed, wounded. Then Albert was seen by many observers to dive out of a cloud and crash. He died minutes later in the arms of a French girl, Madame Cecille Deloffre. He rose from obscurity to the top rank of contemporary fighter pilots in only 15 months. In that period he had been awarded the MC, DSO and two Bars and was credited with at least 44 victories. He was posthumously awarded the Victoria Cross. Whilst telling the story of Ball, the reader also gains a valuable insight into the daily life and experience of being part of a Flying Squadron. It is an interesting read and provides the personal insight into a real individual behind the legend that he became. As seen in the Nottingham Post. This informative account of the ace's life and death is particularly incisive, using a balance of German and British sources. A good and interesting book. It is recommended highly. Colin Pengelly specialises in Naval history and Great War Aviation. He is a member of The Navy Records Society. This is his third book. His biography of Albert Ball VC is also published by Pen and Sword Books. He lives at Weston-super-Mare.